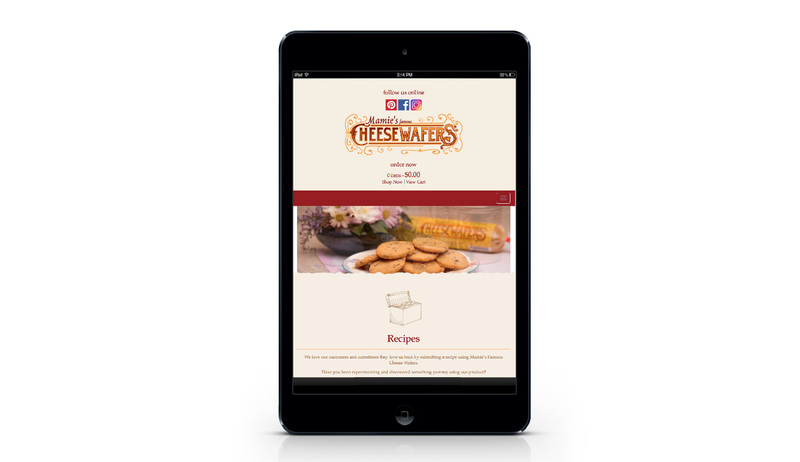 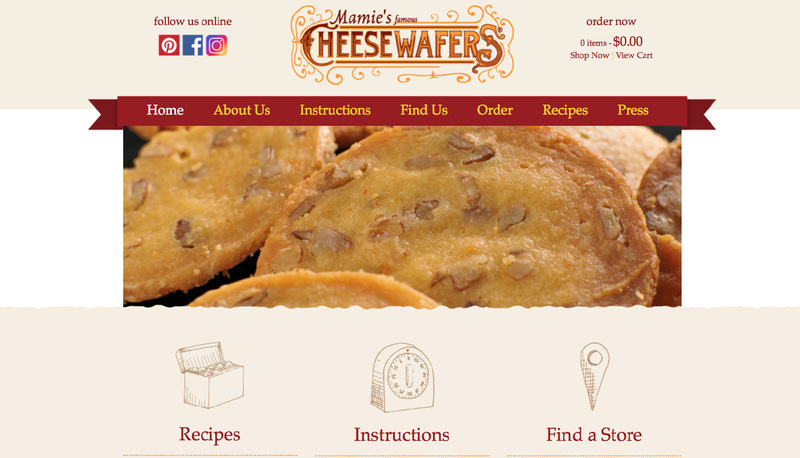 Rouviere Media developed this WordPress content management site for Mamie's Wafers, s food website, using designs from Optera Creative. 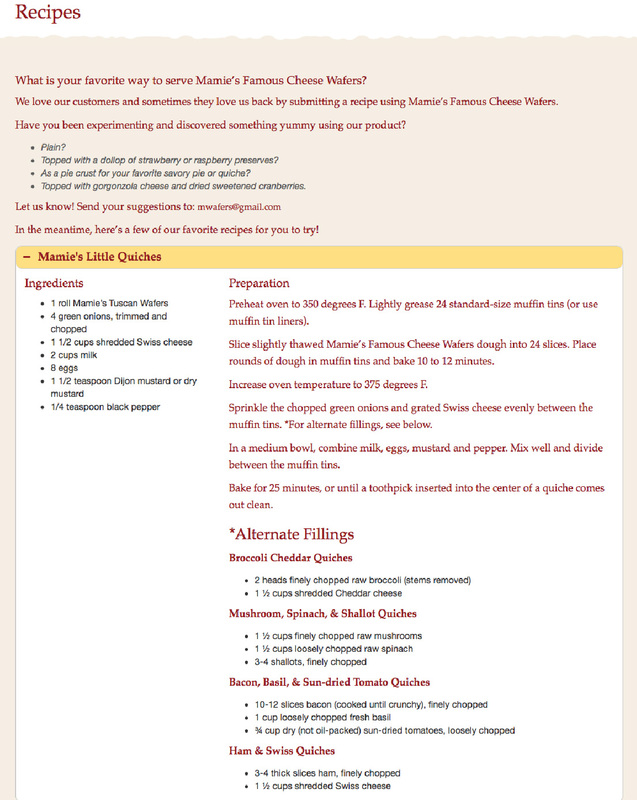 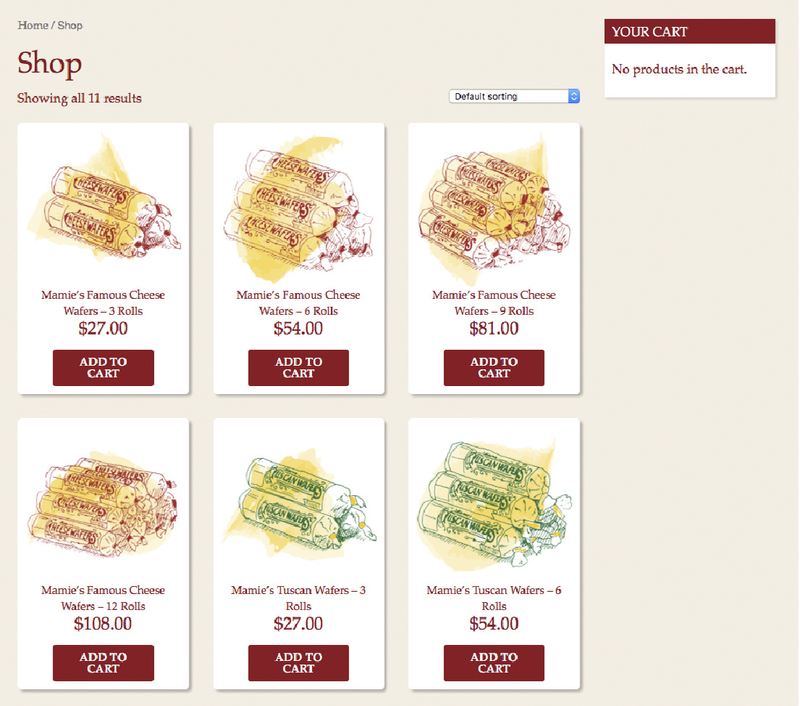 This custom WordPress content management site has an e-commerce shop that sells Mamies' Wafers products. 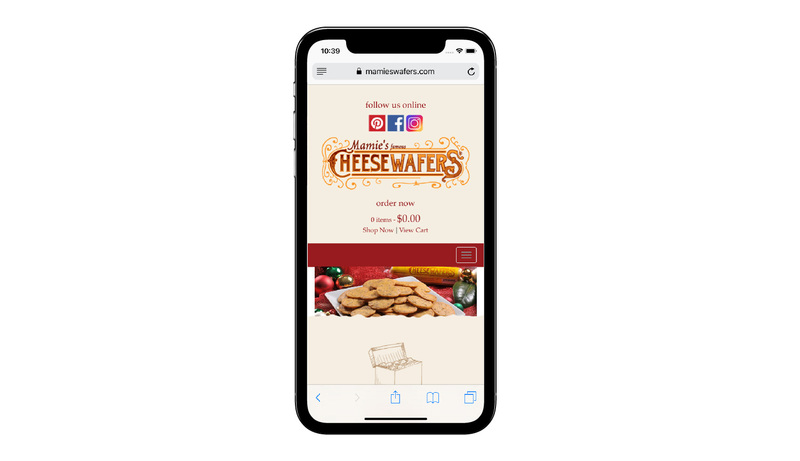 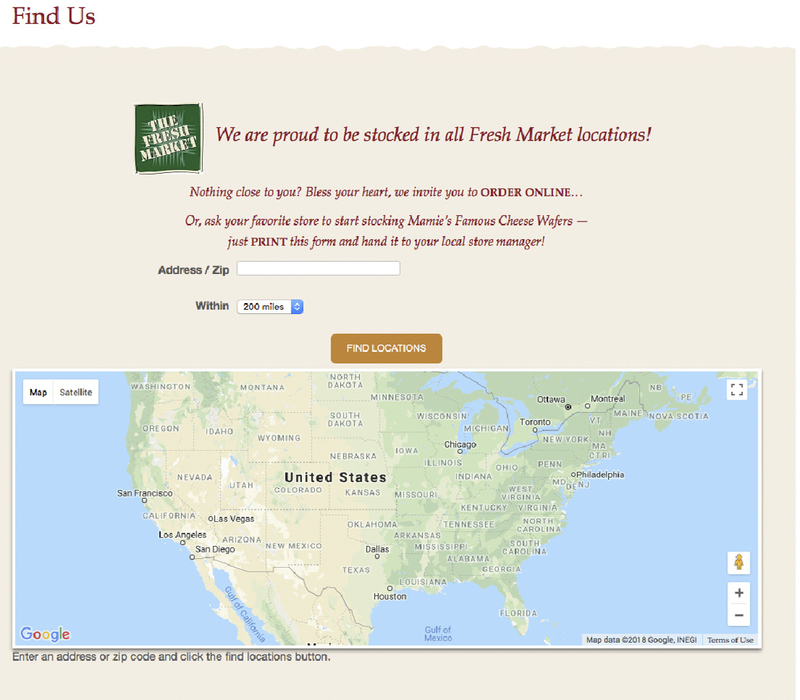 ... and a retail locator so customers can find stores to purchase Mamie's Wafers.